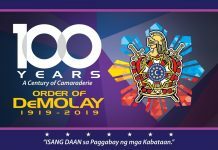 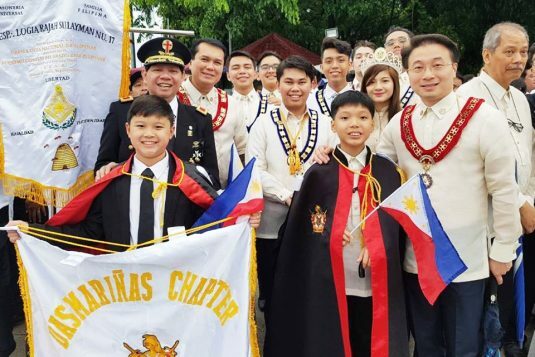 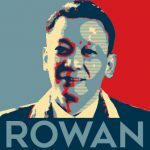 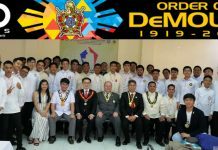 Grand Master Edison Abella represented the Supreme Council, Order of DeMolay and its DeMolay chapters and members during the 120th Independence Day Flag Raising Ceremony, which was led by MW Romeo S. Momo, Grand Master of the Most Worshipful Grand Lodge of Free and Accepted Masons of the Philippines, on June 12, 2018 at 7:00 a.m. at the Luneta Park in Manila. 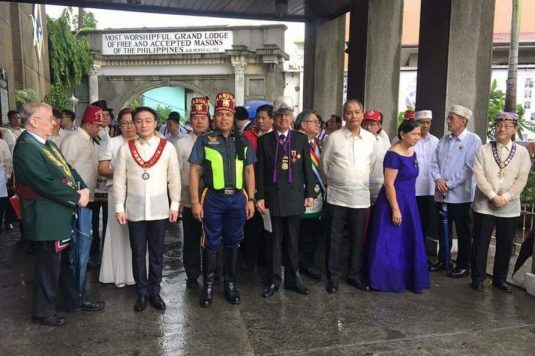 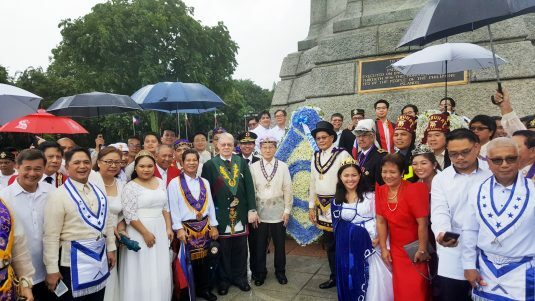 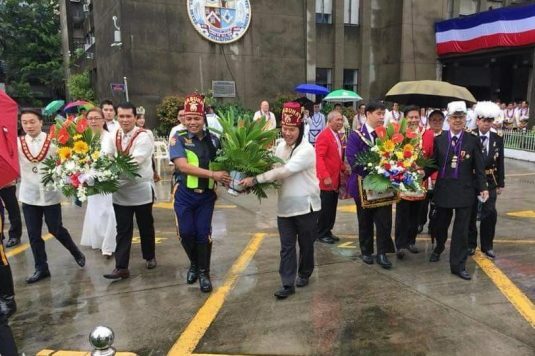 After the flag raising ceremony in Luneta, Grand Master Abella joined MW Momo, together with all of the heads and officers of the other appendant Masonic bodies, for the wreath-laying ceremony in honor of the country’s National Heroes at the Grand Lodge of the Philippines compound in Manila. 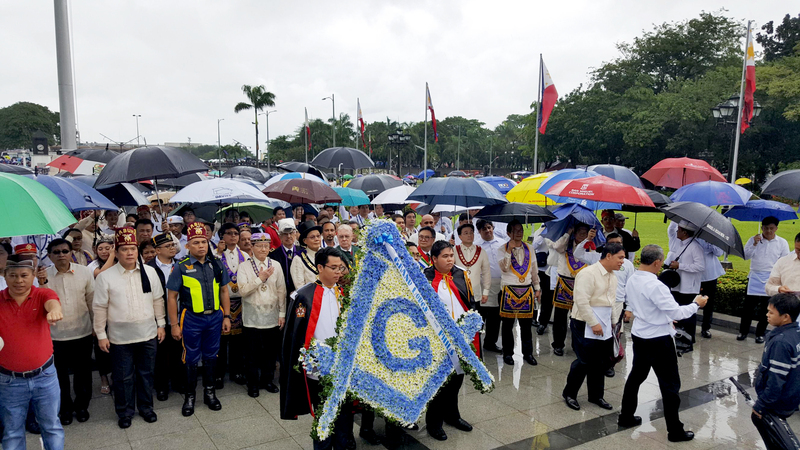 MW Momo offered a sumptuous breakfast in appreciation to all of the attendees, who braved the rainy weather. 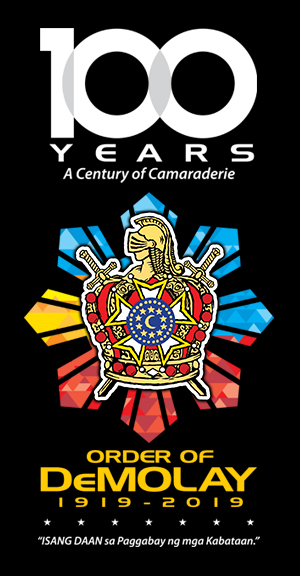 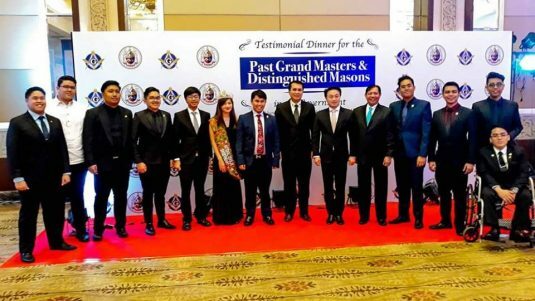 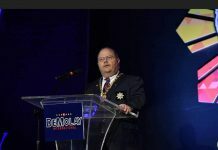 In the evening, Grand Master Abella attended a Testimonial Dinner, hosted by MW Momo, in recognition of the Past Grand Masters of Masons and tribute to the Distinguished Masons in the Government at the Centennial Hall of the Manila Hotel.